On Feb. 2, the groundhog takes center stage as we anxiously wait to hear if spring is on its way. 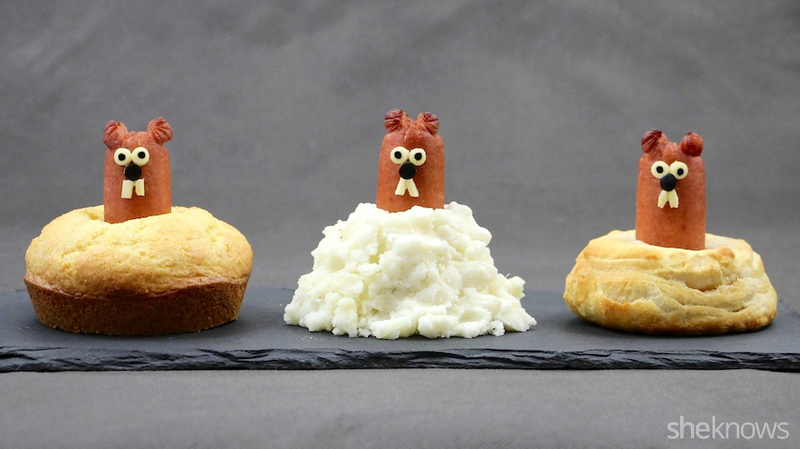 This year, celebrate Groundhog Day by making him the center of your plate too. 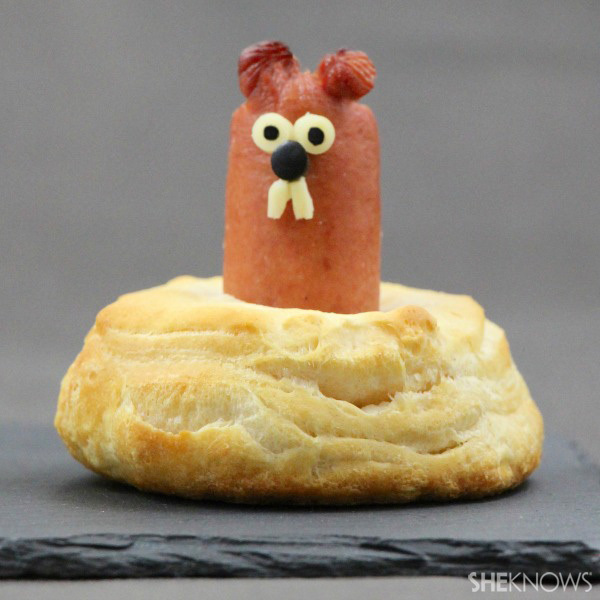 It’s OK… it’s Punxsutawney Phil in hot dog form. 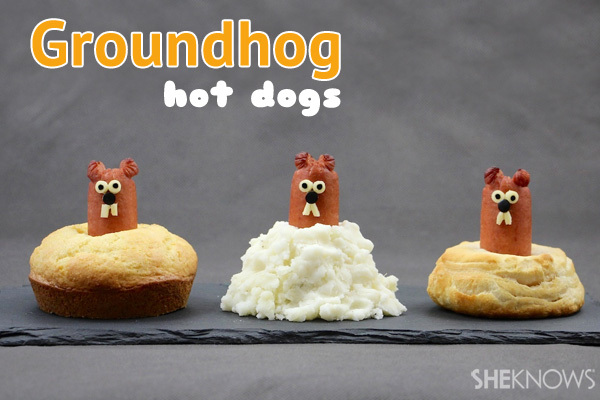 These funny hot dog groundhogs can be placed inside cornbread muffins, a snowy mound of mashed potatoes or baked biscuits, whichever your family prefers. Easy to create and a fun way to celebrate America’s favorite weather-forecasting rodent. These can be created using cornbread muffins, mashed potatoes or biscuits. 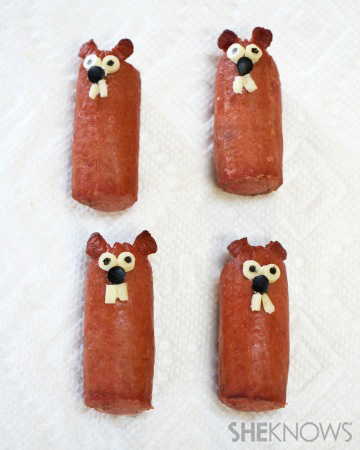 Bake or make whichever you prefer before making the hot dog groundhogs. Heat your oven to 400 degrees F. Cut the hot dogs in half. 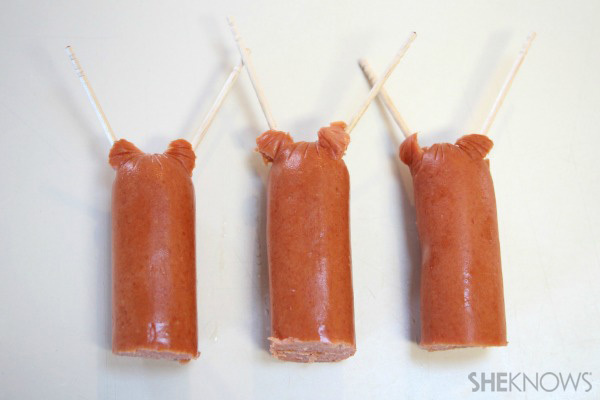 To form the ears, make circular cuts at the top and around the back of the top of each hot dog. Prop the ears up with toothpicks. Place the hot dogs on a baking sheet, and cook them for 10 minutes. While the hot dogs are cooking, make the eyes, noses and teeth. 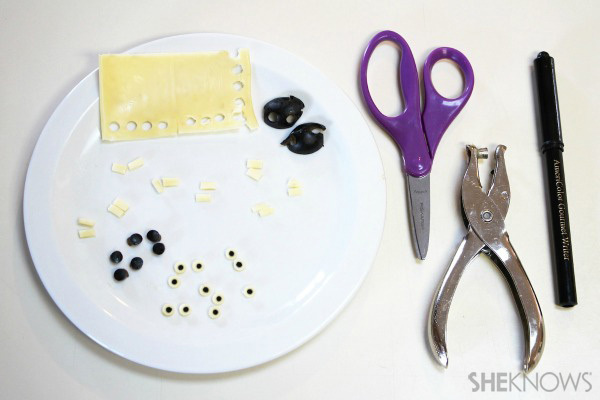 Punch out circles of cheese and olives with a clean paper hole punch. Add dots to the cheese eyes using a black edible food coloring pen. Cut small rectangles of cheese for the teeth with a pair of clean scissors. When the hot dogs are done, allow them to cool for a few minutes. Remove the toothpicks from behind the ears. Wipe off any grease from the face area. Attach the eyes, nose and teeth with tiny dollops of cream cheese. Celebrate Groundhog Day with a plate full of fun. 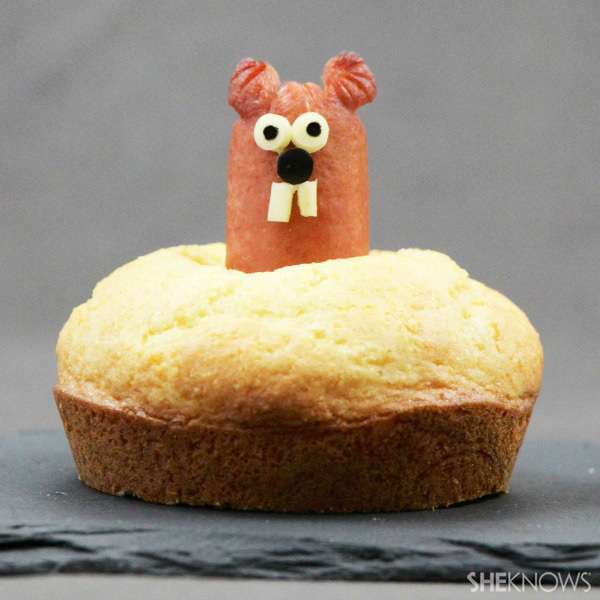 You can also make a sweet Groundhog Day treat for dessert. 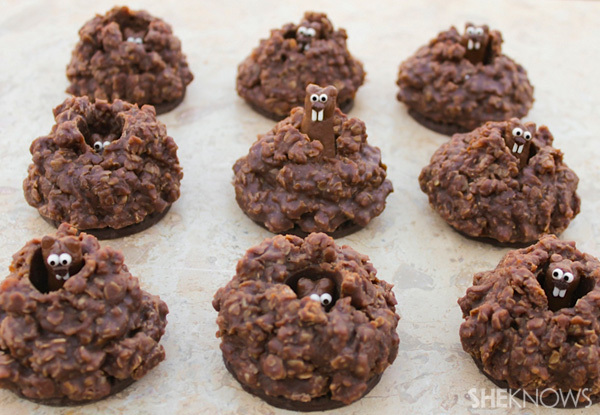 These pop-up groundhog cookies are almost too cute to eat.